Get behind the wheel of some of the world's most powerful cars, authentically recreated for PS4. Get your first look at the upcoming sequel to Slight Mad Studio's crowdfunded racer Project CARS. Blaze your way through the full spectrum of contemporary motorsport and test your nerve behind the wheel of over 170 licenced cars in the next evolution of Slightly Mad Studios’ critically lauded racing debut, Project CARS. 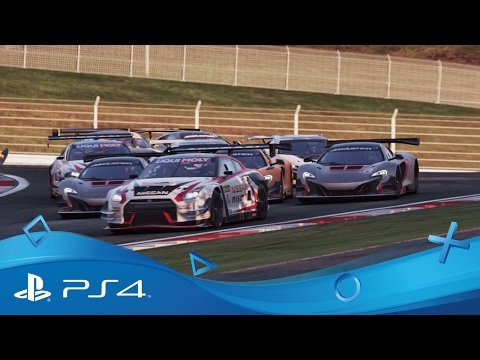 From touring cars to advanced endurance prototypes, experience an entire world of motorsport and a globe-spanning roster of tracks that will pit your skills against every engine-type, terrain and condition imaginable. Striving for the pinnacle of authenticity, Project CARS 2 delivers cutting-edge handling physics that respond in real-time to road surface, weather and track conditions, carefully fine-tuned with testing and feedback from professional racing drivers. Bit of a gear head?